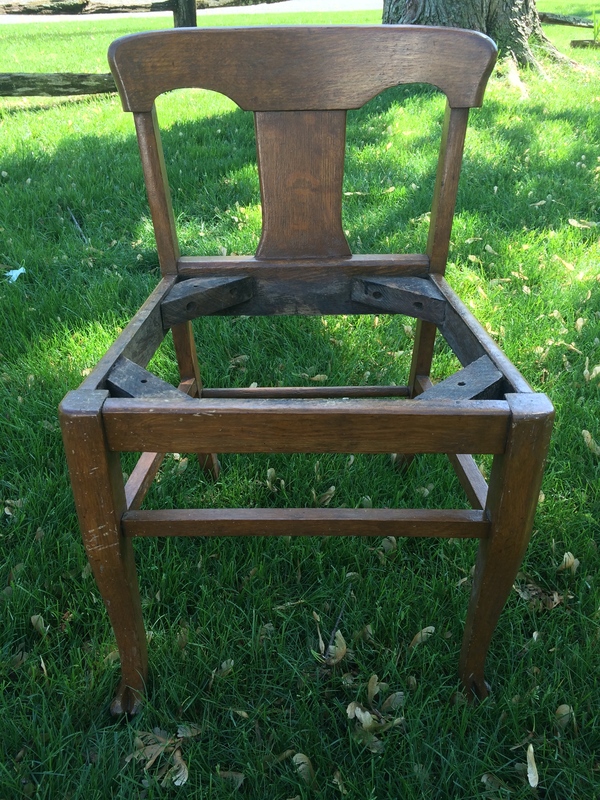 Vintage Grain Sack Chair…Ready for it’s ATP Photo Shoot! My dear friend Kira of Abigail Thomas Photography brought this vintage chair to me to redesign. It is a solid piece that will serve as a prop for her photography business. Her vision was of a child sitting with their legs dangling out the back. I loved the idea and was happy to help, but it definitely needed some love…and a seat… before it could make its photography debut! 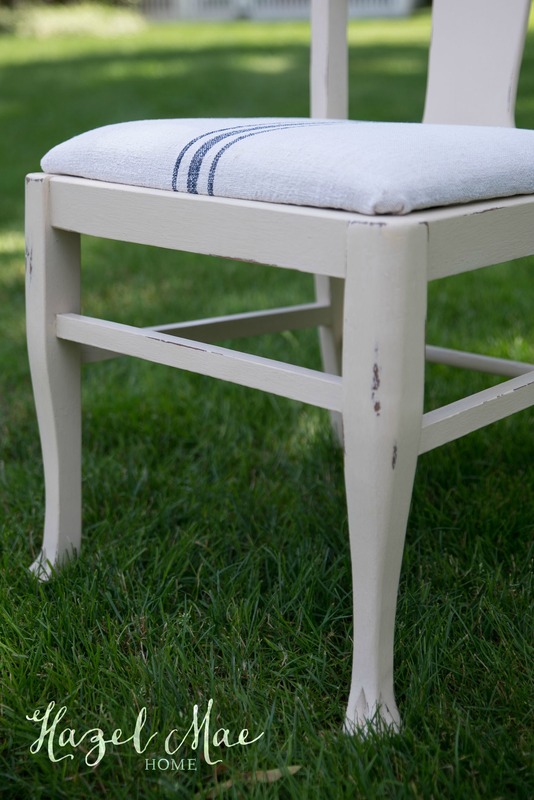 I used a new Annie Sloan paint color for this chair and know that I will definitely use it more often now – Old Ochre. It is a soft warm neutral that can be used in most every room. I waxed and lightly distressed. I then covered the seat in my favorite upholstery fabric – a vintage European grain sack. Kira and I were both so pleased with the results! And her vision came to life with this little cutie! 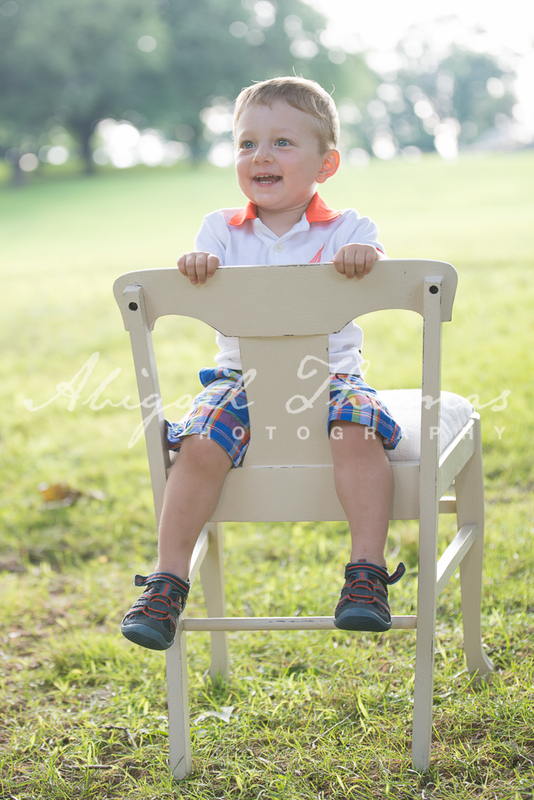 If you can imagine how sweet your child would look sitting on this chair… give Kira a call! She just launched her new website – http://www.abigail-thomas.com/. Check out her amazing work! 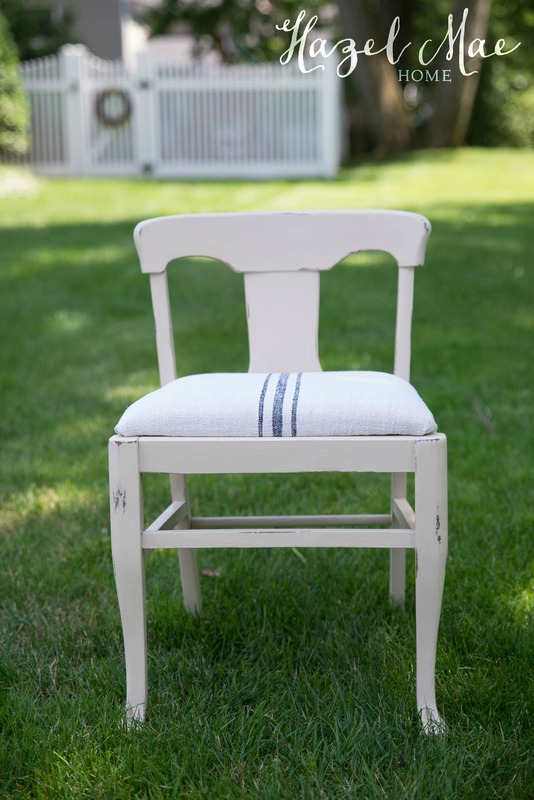 And if you have a vintage chair that needs a seat… or any other piece that needs a little love… call or email me! I am scheduling into late October right now.